On 30 January, Kirsan Ilyumzhinov met in his Moscow office with the mufti of the Chechen Republic, head of the Spiritual Administration of Muslims of the Chechen Republic, Salakh Khadzhi Mezhiyev. At the meeting, the eternal question about religions was discussed. They talked about Islam and Buddhism and how, in our difficult time, a person could save his soul and not lose it. 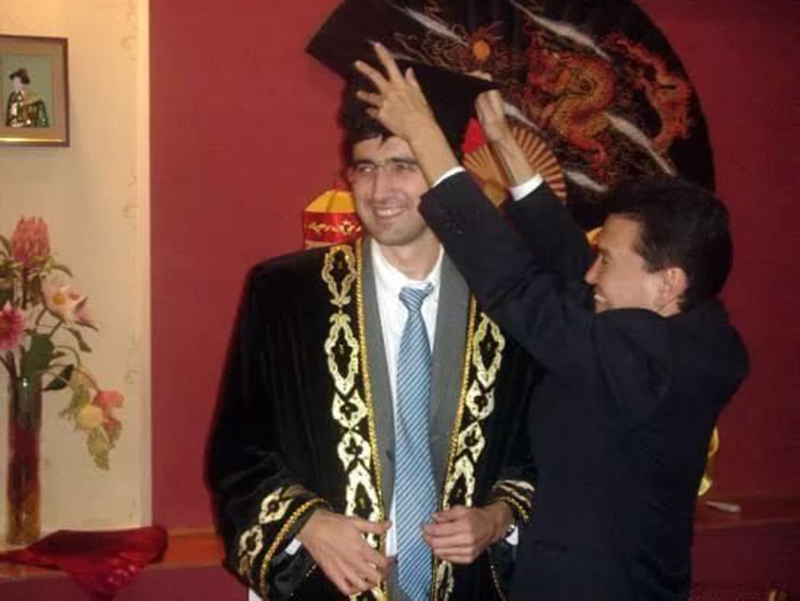 The sixth FIDE President Ilyumzhinov does not exclude that Kramnik will resume his career in the future. Kirsan Ilyumzhinov believes that GM Vladimir Kramnik, who announced the end of his professional career the day before, may change his decision in the future. “Once Boris Vasilyevich Spassky was asked the question: “Will Kasparov return to chess?” He replied: “Has he other options?” That’s what I could also say about Vladimir Kramnik. Moreover, Botvinnik believed that the main thing for a chess player, especially a great one, were his chess games. But apparently the champions have their reasons,” Kirsan Ilyumzhinov said.